Things have gotten a bit bumpy for Formula One fans these past couple of months. 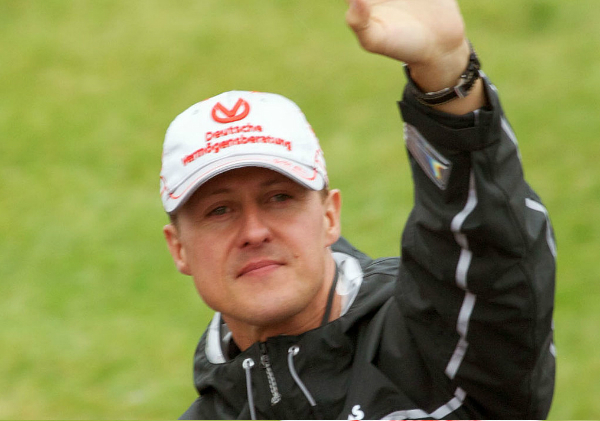 Michael Schumacher’s skiing accident and ensuing head injury has forced many lovers of the sport to face the music and accept he will likely never make another return from retirement. Paired with the major regulation changes to the sport put into effect this season, the future of the sport is looking unsure for many. It’s fair to say that so many changes at once can be detrimental to the spirit of a sport, and especially to the spirit of the fans. But is it anything to be concerned about? Is this the end of the golden age, or the beginning of it? Schumacher was recognized officially as “statistically the greatest driver the sport has ever seen,” but he was more than that. He became the face of F1 and a hero to many across the globe. Fans hoped he would come out of his 2012 retirement for another season, but his potentially fatal and certainly debilitating coma leaves little hope for his return to the sport. All eyes are turning now in search of a competitor skilled enough to take his place as the hero. The recent regulation changes, however, have threatened to alter the sport beyond recognition for some. The requirements to redesign the car’s front and the speed limit change have been reinforced to promote safety for the drivers. This has upset many fans that feel diminishing the danger also decreases the thrill that makes the sport so much of what it is. What’s more, the overhauled penalty system will discourage many of the more daring tendencies of drivers past. Many are concerned that this will further tame the sport and water down the chances of another driver rising to Schumacher’s level of expertise. These valid concerns of fans have been grouped together with some others that are less pressing. The aesthetic quality of the new cars has become an object of obsession for some, but are uglier cars grounds to claim that the sport has changed beyond recognition? There has even been a considerable amount of pushback over the different sound that these new turbo engines produce. Too few are talking about the advantages that these regulation changes provide for both the sport and the world. The new requirements for energy recovery systems and fuel flow rules are leading the sport toward greener efforts. In addition, while these new cars may seem tamer from the outsider perspective, they may also require a new set of skills to operate. Drivers will have to have more control of their tires around hard turns and be able to operate around the lighter down force on their vehicles. This could prove to be exciting and interesting for spectators and drivers alike. A lot of changes have occurred at once, but this should not signify the end for Formula One racing. Like all past changes to the sport have been, eventually the look and sound of these cars will be accepted as normal. Manufacturers are still working out the bugs in their engine designs, and soon enough the new standard of F1 car will be solidified. Schumacher may not be able to return to the sport, but the sport he once knew may not exist for him when he wakes up. This season will see a drastic change in the skills required to rise to the top, not to mention the outcome of an interesting new twist to the game. At this important point in F1’s history, only those fans and drivers unafraid of change will witness its exciting transition into a new era of racing.